Every emotion you experience is a message. If the message is good, you are traveling along the right path in life. If it is bad, you have hidden memory that needs to be released. In Step Two I briefly touched on the importance of looking at your feelings, both for clearing the path to success and also reinforcing new beliefs. 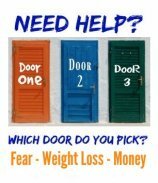 In the Step Three Introduction I offered to provide you with some self help techniques which quickly, easily and effectively eliminate the negative attachment to any feeling. Before I actually get into the first technique, I thought it might be prudent to help you obtain a deeper understanding why it is vitally important to observe, acknowledge and embrace your feelings. Everyone has or will endure emotional pain of one form or another. Most of this pain comes from things "perceived to be traumatic" or resistance to what has happened. If you had the opportunity to view your childhood as a movie, chances are good you would discover early life experiences which left an indelible imprint in your subconscious memory. These childhood experiences account for most of your pain; neatly hidden away out of conscious awareness. 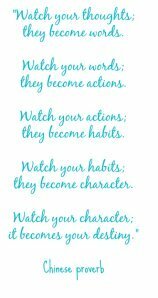 These experiences have also played a large part in forming your current beliefs, thoughts and habits. Humans suffer through the same problems in life simply because they choose to either ignore them or stuff them away, thinking they will eventually disappear. Both of these choices consume huge amounts of energy as your subconscious is constantly struggling to suppress memory and keep it out of your awareness. Many of us have a need to look outside of our self for validation. We are not confident and secure in being our self. Therefore we look to others for proof we are acceptable, likable, loving, intelligent, desired or okay. Humans tend to believe (incorrectly) if you deal with uncomfortable or unacceptable feelings; you will become more overwhelmed, endure additional pain and suffering. In reality, the longer you take to acknowledge and manage a negative feeling, the more impact it has on your life. Why Even Bother to Let Go? The feeling you experience is the symptom; your thought or belief is the cause. Your thoughts and beliefs have been operating on auto-pilot and sabotaging your efforts to achieve. Changing your thinking = changing your emotion = changing your life. Will-power is not enough to overcome an unwanted feeling, habit, thought or belief. The subconscious controls 5/6ths of your mind power and is programmed to fail. In Step One, you learned scientific brain research which explained thoughts are real, measurable things. You also learned how the human brain creates new neural pathways. The neurode patterns that are used the most are stored in the largest numbers, fire the easiest and most often. Simply stated, the more you think about something, the easier it gets to think about it over and over again. This is how many of us automatically reinforce our own negative behavior. Emotion plays a vital role in this reinforcement by cementing negative beliefs, thoughts and habits into our subconscious mind. When there is strong feeling attached to any memory, this memory becomes a dominant factor in how we think and act. To neutralize the power of a negative, you need to turn off its power. Let’s do a mental exercise to help you “see” proof of how this all fits together. Search your mind for something that caused you to be upset. Now, take the time to replay every detail you can remember. Experience it as if it is happening right now. Feel, taste, smell, everything you can remember. What are you feeling? Witness how you have become upset all over again simply by using recall. Good! Now you understand how feelings are attached to your thoughts and also are the result of your thoughts. Before we move on, let it go. Realize your thoughts created this feeling. Visualize the problem getting smaller and smaller, and further away from you until it totally disappears. What Are The Benefits of Releasing? So then, if will-power is not enough to overcome a negative feeling, what can we do? Negative emotions are thoughts that are stuck! Releasing the negative attachment is known as “emotional clearing” or achieving “emotional freedom”. I believed for many years I was not responsible for how I felt. Like most of us have a tendency to do, I blamed other people and events for my feelings. Once you take responsibility for your own feelings and accept your thoughts as the cause, you are then ready to learn how to release the attachment. Releasing the attachment is akin to turning off the power to a particular thought or belief. First, you need to be aware of the originating thought which caused the feeling and then release your emotional attachment to this thought. Basically, you are changing the way a thought (neuron pattern) fires in your brain so the next time you have the same thought there is no emotion or feeling attached to it. This eliminates the negative created by the originating thought. When you do recall a negative thought, you will no longer experience all the "bad feelings" associated with that thought. It will now be as if the experience happened to someone else and not you. You will stop pushing away or resisting what you don’t want. You energy level will increase dramatically. By eliminating the obstacles in your life, you are clearing the path for success. How Can You Release A Negative Emotion? The process to eliminate negative feelings is really quite simple. Over the last thirty years or so, I have discovered some excellent techniques which have become my favorites. I found that each emotional issue is not necessarily resolved in the same manner as another. This is why I have included different techniques for you to try out for yourself and decide which ones to use when the need arises. To begin, in 1999 I was introduced to Emotional Freedom Techniques. At first I had only mild success with these techniques. Quite simply, I did not believe it could be so simple to change my life. As I spent more time studying and learning about successful entrepreneurs, I discovered many of these wealthy individuals talked openly about one form or another of emotional releasing which helped remove the obstacles to their success. This is when I accepted there must be some truth to the positive results experienced by others using these techniques. I became a “believer”. Now I use EFT pretty much every day to release some issue which previously would have drained my energy. Don’t succumb to your old beliefs. Do some of your own research and see for yourself who else uses or recommends emotional releasing. When you first attempt EFT, you will find the tapping process odd and your current belief system will tell you it doesn’t work; is too simple to work; or you are wasting time. I am eternally grateful for discovering emotional clearing. Using various releasing techniques I have greatly reduced or eliminated many of my emotional issues. Presented in the following pages of Step Three, I will introduce a few more techniques I have personally applied, which have also contributed greatly to my emotional well-being. In the next lesson, you will learn how to apply Forgiveness and free your mind from energy zapping baggage you have been needlessly carrying with you.